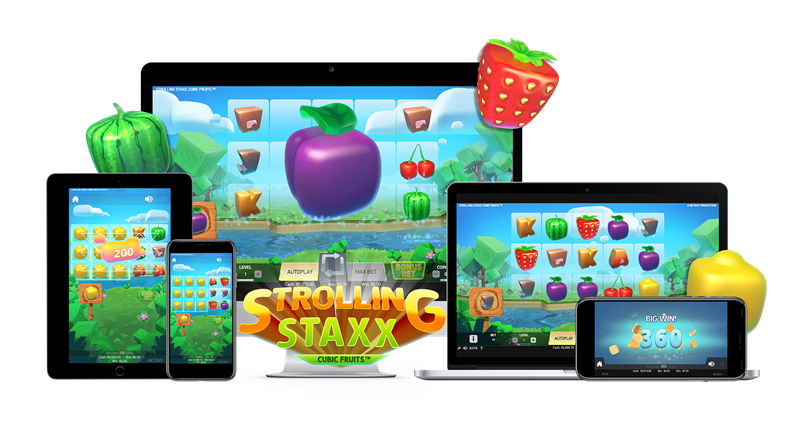 Everything has gone box-shaped in NetEnt’s newest offering, Strolling Staxx: Cubic FruitsTM. The latest release in the Staxx series – a sequel to Neon Staxx and Butterfly Staxx – features a range of entertaining features and a new, fun creative direction with its cube-based design. The 5-reel, 3-row video slot is all about Colossal symbols – any symbol can appear as a Colossal or a stack and activate the Strolling Staxx Re-Spins. What’s more, activating the Bonus Bet grants players the extra chance to land more Colossal symbols on the reels for more Strolling Staxx Re-Spins. Strolling Staxx is NetEnt’s second game launch in January, following the release of top performing Turn Your FortuneTM. NetEnt has committed to increasing its studio output, with up to 35 new in-house and branded games planned for production and distribution this year, content for all player tastes and markets.